The defending Stanley Cup Champions, the Washington Capitals, are currently in their first round matchup against the Carolina Hurricanes. Heading into last night’s game, the Capitals were up 2-0 in the series, although that all changed when they lost by a score of 5-0 in game three. 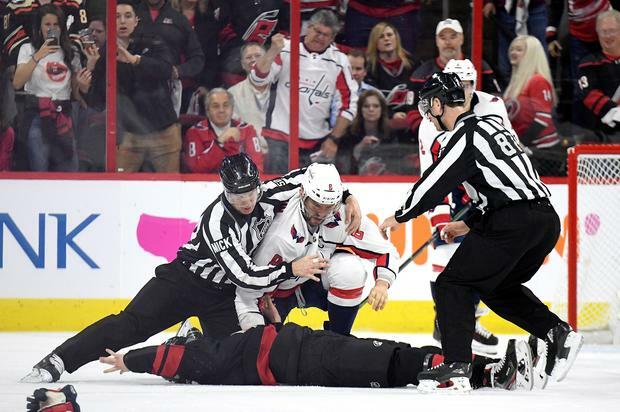 The game itself was the last thing on people’s minds though as Capitals star Alexander Ovechkin, and Hurricanes rookie Andrei Svechnikov got into a huge fight in the first period. “We all battled together. All 20 guys battled hard. … [Svechnikov is] our brother, and we stand up for each other. We knew we needed to get this win, not just for us, but for him,” said Hurricanes rookie Warren Foegele, according to CBC.